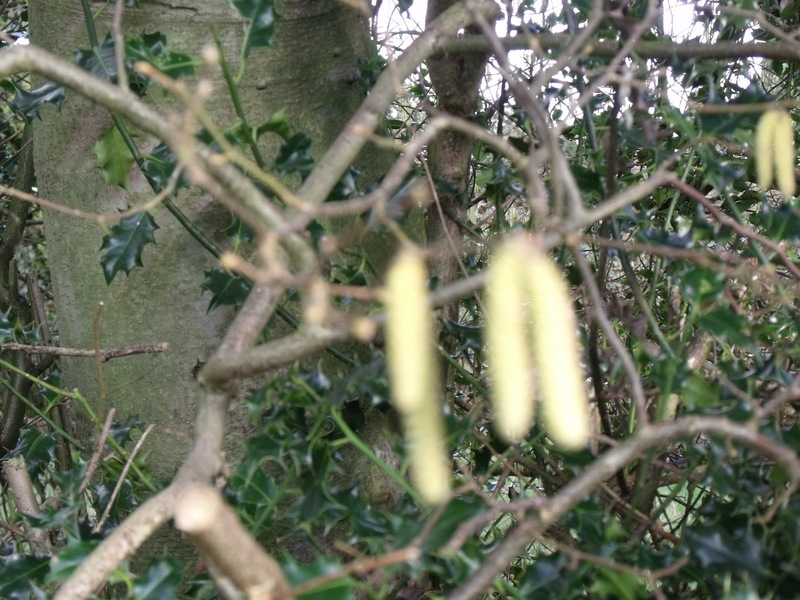 More pollen possibilities - catkin? I don’t recall ever listening with so much excitement to the weather forecast and feeling my heart so uplifted at the news we may have temperatures of about 15 degrees or more for most of the week. To the uninitiated, this means the bees will be out and about gathering pollen and in general starting to accelerate the growth of the colony. More bees meaning more honey – and the possibility of a strong colong being split to make two. The sun will also bring out more plants to give more forage for the bees. Is this the essence that those who want to follow the good life are seeking? It is wonderful that our supermarkets can supply an ever increasing range of exotic produce that defy their natural season but it removes our dependence from those seasons and in some way our appreciation of them. The beekeeper, however impatient, has to sit tight during the bees winter confinement. All he can do is worry about whether they will survive and if organised, optimistically prepare the frames and equipment he will need for the following season if all goes well. This enforced separation partners the dark days of winter but the first signs of sun and warmth getting through light a small fire of anticipation and excitement. It is true that those dark times only serve to help us appreciate the light ones all the more.